Hansa Aviation is an air services company that provides private and business class services in the middle east and internationaly. 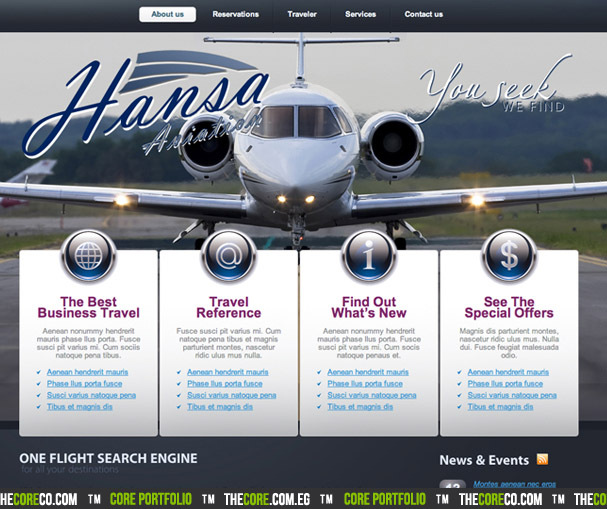 We're in the process of creating Hansa aviation website and portals, and we're planing for a magnificent user experience through out the site and the site services provided for them and their customers. We're planning a launch data for the website on late October.